Where do I even begin!! Stephanie is handsdown the best photographer I have ever worked with!!! My fiancé isn’t very comfortable in front of the camera but Stephanie made him feel extremely comfortable! Stephanie makes you feel like you’re not even taking pictures, it’s just like a normal day! From the very first time I booked Stephanie she has helped me every step of the way! When I was picking out an engagement dress, she helped me pick the best one for the location we choose! She answered all my questions, no matter how many I asked, no matter what time of day! If you love Harry Potter YOU HAVE TO DO A SHOOT WITH STEPHANIE!! It’s an experience that I will never forget!! Stephanie feels like she has been part of the family for years! Stephanie has become a friend for life. I will choose STEPHANIE for ALL my pictures in my life!! She did my engagement pictures, she’s booked for my wedding, boudoir and she will be doing my Disney Park Shoot pictures!!! She will be doing my family pictures in the future as well!!! SHE IS THE BEST THERE IS!! Stephanie and the makeup artists she works with did an AMAZING job! I felt like a rock star and the pictures make me feel more beautiful than I ever thought I could be! Amazing studio and comfortable atmosphere. I cant say enough great things about Stephanie and her work. She makes you feel instantly comfortable and the photos are stunning. We want her to photography everything for us! Besides her amazing work, she has this knack of making you feel strong, confident, and beautiful. Her images are magical, her lens and editing transports the ordinary to extraordinary. I had Stephanie shoot my boudoir photo shoot and oh my gosh! I don't think I've ever felt so comfortable in my intimates with anyone besides my man! She's so professional and knows just how to pose you to get unbelievable shots! Thank you! I'm glad you had fun! I truly LOVED working with Stephanie! She makes you feel so comfortable, like an old friend. And the photos...THE PHOTOS ARE INSANE! They are beautiful down to the last shot. Would highly recommend! A dream to work with Stephanie Caldwell! Working with Stephanie was a dream come true! We were thrilled to have her photograph our wedding portraits and we really appreciated being able to discuss what we wanted with her in advance- she totally understood our preferences and ideas and was so open to our wishes. Most importantly, she was organized and efficient during our shoot. We had a lot to do in a short time and she got it done and more! We could not be happier about that. We were having a such a great time we barely noticed how many shots and setups she did. Since time is precious during a shoot, this was the most important thing to us. Later- when we got our images back- we were floored. Her stuff was stunning. We had a hard time deciding what to frame! The best kind of problem! We can't wait to work with her again. Stephanie is amazing to work with! 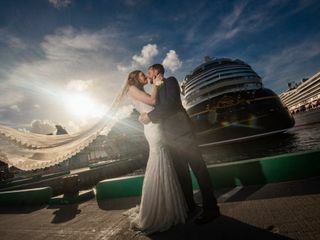 We were able to bring Stephanie along on a Disney Cruise to photograph our wedding. 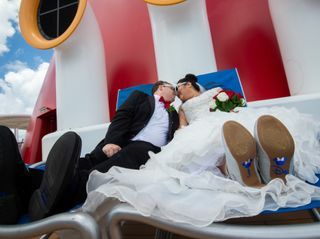 She also photographed another couples wedding on the cruise and their photos turned out fabulous as well. I also did a boudoir shoot with Stephanie and gave an album to my husband as a wedding gift. He loves it! Both experiences with Stephanie were fantastic-super easy to work with and I cannot recommend her enough. Both my husband and I are super awkward when it comes to being in front of a camera, but we had to be for our wedding. Stephanie made getting photographed as painless as possible by being super friendly and helping pose us. We got some fantastic shots! I can't say enough good things about Stephanie and Jacob! They are so organized, the wedding day went so smoothly! 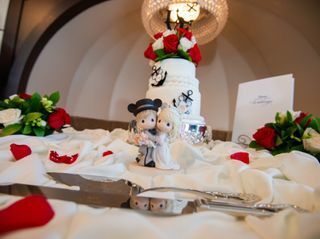 They got great shots, while making sure they were not the center of attention at the reception. Very professional. And so much fun to work with! I highly recommend Caldwell Photographic Studio!!! Stephanie was absolutely FANTASTIC! Neither of us had ever done a photo shoot before and she made it so easy! We have only received our sneak peeks so far but I am BLOW AWAY. She is magic with the lights and her equipment. Beyond happy we were able to work with her for our wedding! Stephanie was amazing to work with! She was so much fun and listened to what you wanted. Her work is beautiful! Stephanie helped me shoot my hubby’s wedding present! Her professionalism and personality totally put you at ease and I would recommend her a million times over. Lisa I'm so glad you loved it! Stephanie photographed my Disney Wedding and Magic Kingdom Shoot. She got some pretty amazing shots and I was very pleased with all of my photos. She’s very professional and has a wonderful personality. I would definitely work with her again in the future for any other photo opportunities. Thank you Kimberly it was our pleasure! Stephanie and her assistants Dean and Mike were absolutely fabulous!!! 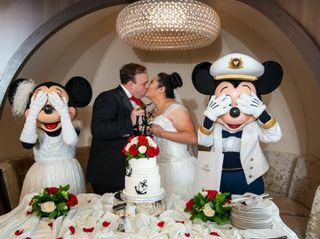 We had no idea really what to expect because we live in Chicago and did a destination Disney wedding and I knew Stephanie was good based on her photography online BUT I had NO idea how amazing, sweet, and kind her and her team would be. She made my new husband and I so happy there aren’t even words to describe and at one point I felt my smile wavering and she reminded me slow deep breaths and I was calm and still as a cucumber! 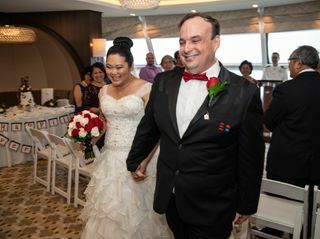 If I was to renew my vows I would fly Stephanie and her team to Chicago she was fabulous and even took time to help me with my wedding dress. If it were possible to give her 10 stars on here I would!!! Stephanie and her team were amazing from beginning to end! My husband and I got engaged in Disney World in 2015 and we got married this past October. From booking with Stephanie to seeing our final results, we have been nothing but in awe. Not only does Stephanie take the time to get to know you as a couple, she makes you feel totally comfortable! And we got SO MANY great shots to choose from! Things I wouldn’t have ever thought of for posing and special moments were done with ease. I never felt uncomfortable or forced. It was an amazing experience! Even our guests remarked to us how professional and attentive Stephanie’s team was. I will forever recommend her and am so in love with my photographs! Stephanie rocks!! Thank you Stephanie! Thank you Victoria you and your whole family were so amazing to photograph! Stephanie is amazing! She makes you feel comfortable and creates the most amazing photographs. 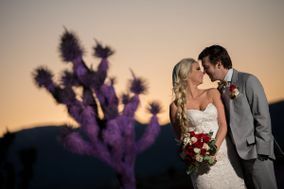 We had a bad experience and was very worried about having great wedding photos which is why we wanted to have Stephanie as our photographer because we knew she would work her magic. I couldn’t recommend her more and hope to use her services in the future for future family photography needs. Jana thank you for being so amazing to photograph. I cant wait to photograph you again!! Amazing service! Stephanie was always available to contact and would respond quickly! We are in love with our pictures. Super professional yet also feels like a friend we have known for years. 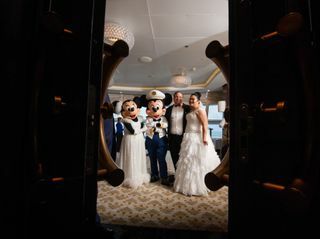 We were married on a Disney Cruise and she knew exactly where to go and what to do, it was almost as if we had our own personal tour guide. Definitely listened to our wants and needs and was so much fun to work with! Definitely recommend! If you are looking for a photographer who will find the most perfect angle for the best shot, Stephanie is your lady! It poured during the time we would have been taking photos and she stayed just so we could get some incredible pictures. She laid on the wet ground to capture the sunset and stormy clouds. Her work is unbelievable and you will NOT be disappointed. She is one of the sweetest and funniest individuals I have ever met. Her level of professionalism is unlike anyone else. Her value is worth the price. Never skimp on photography because photos are the best way to remember how special your day was. Hannah thank you so much! you both are so glamorous! 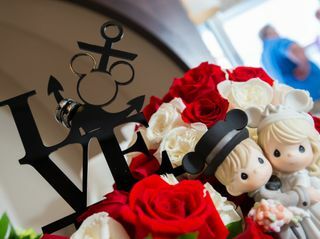 We had Stephanie as our Disney photographer, she helped put us at ease and we had a great time with her! Our photos are amazing! She even had us some previews printed before the end of the night! Fantastic service!! I am beyond pleased with my photos. I had Stephanie and team for 2 separate shoots and they exceeded my standards of what I was looking for. She is so knowledgeable and professional. I’m not a professional model but she guided me to how to pose and stand which helped out a lot. The pictures came out breathtaking as a result. My husband is even more sexier due to these pictures . Would highly recommend. I'm so glad you loved your photos! Can't wait to photograph you both in the future! Stephanie is a brilliant photographer and person who really knows how to get the best photos from her clients. I have never felt so comfortable in front of a camera before. Stephanie put me at ease and set me up for success every step of the way. I was so amazed just seeing the preview images she shared with me - I've never felt so beautiful! Loved seeing Stephanie's creativity shine to get the best shots. Thank from the bottom to the top of my heart! You made my job very easy!! :) Cant wait to photograph you in the future!! Stephanie Caldwell is a fantastic photographer. She is very talented and knows her profession well. She provided great direction when photographing us and our pictures came out amazing! She never rushed us and always made sure we were comfortable the entire time of our session. She has a great artistic vision but also wanted to be sure we were getting the shots we wanted too. She is extremely collaborative and is an absolute pleasure to work with. We already have another session scheduled with her and can't wait to work with her again. She is nothing short of amazing! Stephanie was simply amazing. She made me feel totally at ease and we were laughing the whole time. She kept making cute little comments after some pictures that have me anticipating the final products. I would recommend her just based on the person she is. The art she produces is just a bonus!